We rely on the know-how and expertise of our Research & Development department to conduct our own research to develop technologies that belong to us. This is to ensure a lifetime for our products that is adapted to the space sector, not subject to restrictive legislation (the ITAR law for example). To avoid commercial obsolescence of our coatings, we have chosen to produce our raw materials ourselves. Our customers are thus guaranteed that their coating will always be available over time, for as long as we work together. MAP participates in working groups to address environmental issues aimed at reducing the use of toxic substances for industrial purposes. This is to position itself as a proactive player, committed to its market, but also to anticipate future regulations. To date, we have already eliminated the use of many substances not yet covered by production standards, to anticipate the challenges of tomorrow. At MAP, we have made space our area of expertise: some of our coatings have been in flight for over 30 years! Every year, we show our commitment to innovation by investing 15% of our turnover in Research & Development, to further our pursuit of excellence. With a desire to develop globally, we have chosen to maintain a presence in the countries in which we operate. 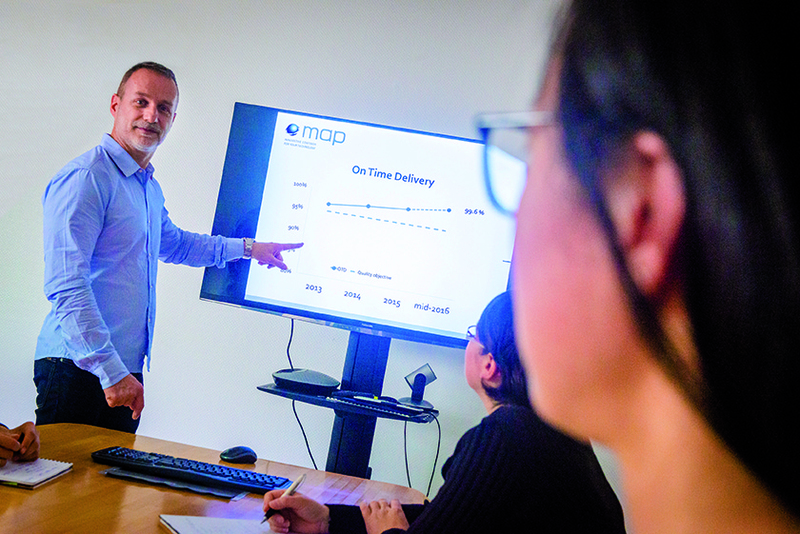 In Korea, Japan, India, China, our agents work closely with our customers, to bring them MAP’s cutting-edge know-how, from coating development to thermal finishing, through a service that takes account of the local market.